Best Hotels in LA | Where to Stay | MeetL.A. Travelers have an incredible range of hotel options for staying in Los Angeles. 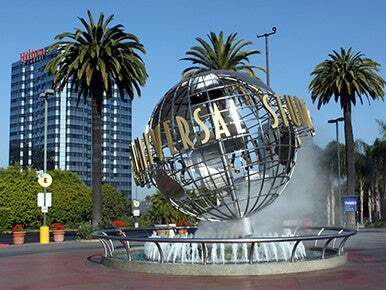 Families can stay near L.A.’s famous theme parks and attractions at a number of conveniently located hotels. Los Angeles is synonymous with luxury and glamour, but there are also value hotels throughout the city for budget-savvy travelers. A new generation of modern, hip hotels offers everything for even the trendiest of travelers, while guests of L.A.’s historic hotels can walk the halls and stay in the same rooms that legends once called home. Hotels throughout the city offer numerous amenities for business travelers, from high-tech centers to free airport shuttles. Whatever type of accommodations you're looking for, start your search for the best hotels in L.A. by region. From the iconic rooftop views at the Standard Downtown to the newly opened Ace Hotel and The Line Hotel in Koreatown, Los Angeles is ahead of the curve when it comes to modern and hip hotels. 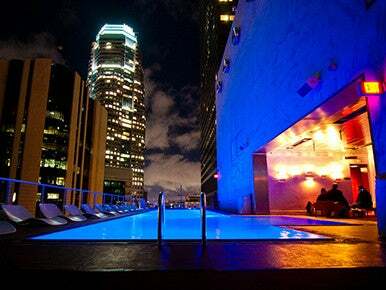 Hollywood is home to popular hotels like the W Hollywood and the Kimpton Everly. The Hotel Wilshire is located near Museum Row. West Hollywood has the trendsetting Chateau Marmont, Andaz and Mondrian. Stay near the beach at modern hotels like The Viceroy, The Huntley and the Custom Hotel. Browse our guides to keep up with L.A.’s hip hotels. 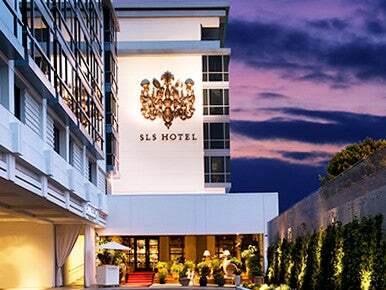 Los Angeles is known for luxury, but there are also excellent value hotels throughout the city. One of the best value hotel chains is Holiday Inn Express, with locations in top LA regions. 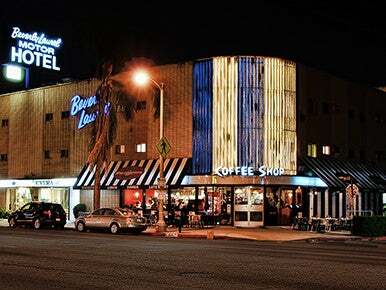 Downtown L.A. value hotels include the Cecil Hotel, the Hollywood Inn Express South and the Ritz Milner. Hollywood visitors can stay at value hotels like the Econolodge of Hollywood. Hostelling International Santa Monica offers numerous amenities, as well as extras such as live music, yoga and poetry readings. 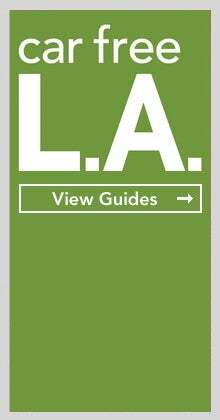 Read L.A. Tourism’s guides for the best value hotels in Los Angeles. 10 Almost Free Things to Do in L.A.
Few cities have high-end hotels like Los Angeles. The J.W. Marriott & Ritz-Carlton are Downtown’s most visible luxury hotels. The W Hollywood and Hollywood Roosevelt are truly glamourous, while the Beverly Hills Hotel, Beverly Wilshire, Peninsula, Four Seasons & L’Ermitage are pure luxury. 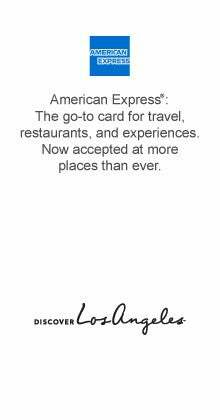 The Westside has Hotel Bel-Air, InterContinental Los Angeles Century City and Sofitel Los Angeles. Stay in beachfront luxury at Shutters on the Beach or Terranea Resort. The Langham, Huntington Hotel & Spa is an elegant Pasadena hotel. Discover L.A.’s most luxurious hotels. Some of L.A.’s best hotels have decades of history in addition to modern amenities. Movie and music legends have stayed at these properties, and the hotels themselves have appeared in countless movies and TV shows. 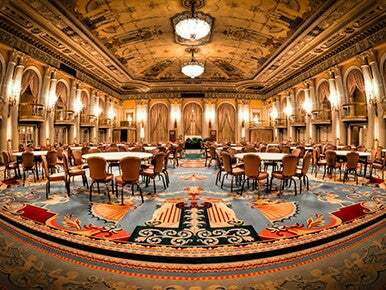 The Millennium Biltmore and the Hollywood Roosevelt have hosted the Academy Awards, and famous guests. The Beverly Hills Hotel has catered to legendary guests since 1912. Art Deco landmarks like the Sunset Tower Hotel and Casa del Mar have welcomed guests for decades. Browse L.A. Tourism’s listings for more about L.A.’s historic hotels. Los Angeles is a prime business destination. 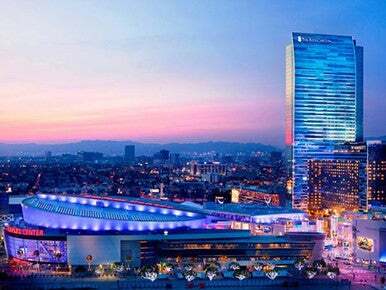 Hotels like the Omni Los Angeles, Westin Bonaventure and Sheraton Los Angeles are located in the Financial District. The Loews Hollywood, London West Hollywood, Hilton Los Angeles / Universal City, and Sheraton Universal are ideal for the entertainment industry. The Four Seasons Beverly Hills features a state-of-the-art business center, while L’Ermitage offers stationery and free printing. The Doubletree LAX, Courtyard Marriott Los Angeles and the Custom Hotel are located near LAX. Discover L.A’s best business hotels with our guide. 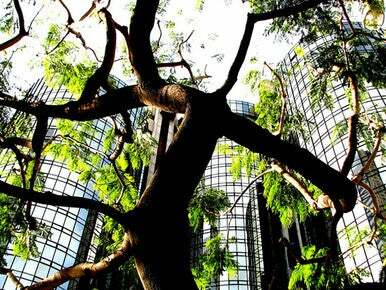 Los Angeles is often associated with red carpets, but the city is increasingly embracing green. Hotels throughout L.A. are leaders in green design, resulting in their recognition through Green Seal™ and LEED Certification. 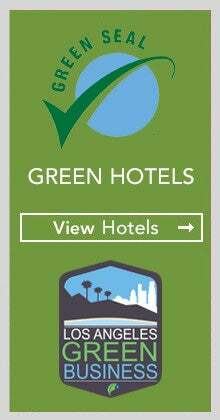 Now you can enjoy your L.A. vacation and go green by staying at a Green Seal certified hotel. Hotels that have earned the Green Seal are leaders in sustainability and have completed a certification process and on site audit. Find out more about eco-friendly hotels that will ensure your next stay in Los Angeles is a green one.